The Spanish broadcaster RTVE has announced the 10 songs that passed the first stage of the online contest "Eurocasting". The 10 will be narrowed down to 3 songs. The 30 songs for the online contest of Objetivo Eurovisión 2017 have been narrowed down to 10. Users were able to vote in "Eurocasting" for their favorites from 2 December to 12 December 2016 on the homepage of the Spanish broadcaster RTVE. The 10 most voted songs are now ready for the next stage of the process. Nicky Triphook – "Daddy's Little Girl"
Romy Low – "In Love"
Pedro Elipe – "Del dolor"
Fruela – "Live it up"
Javián – "No somos héroes"
Rebeca Moss – "Volveré por ti"
The entries for Objetivo Eurovisión 2017 will be selected by both an online contest "Eurocasting" and an internal selection. The online contest will select one of the songs for Objetivo Eurovisión 2017. Everyone who wanted to compete in Objetivo Eurovisión 2017 could apply for the online contest, and 30 of these entries has been selected by RTVE. The 30 selected entries will first compete in an online competition where everyone can give their votes on the entries (one vote per IP address) from 2 December to 12 December 2016. The best 10 entries will be narrowed down to 3 entries by a jury, to proceed to a special sing-off where the songs will be performed at an online live streamed event on the internet on 12 January 2017. An online voting will select just one song to qualify for the Spanish national selection Objetivo Eurovisión 2017. The broadcaster RTVE will internally select an unknown number of finalists for Objetivo Eurovisión 2017 among professional singers from the Spanish music industry. 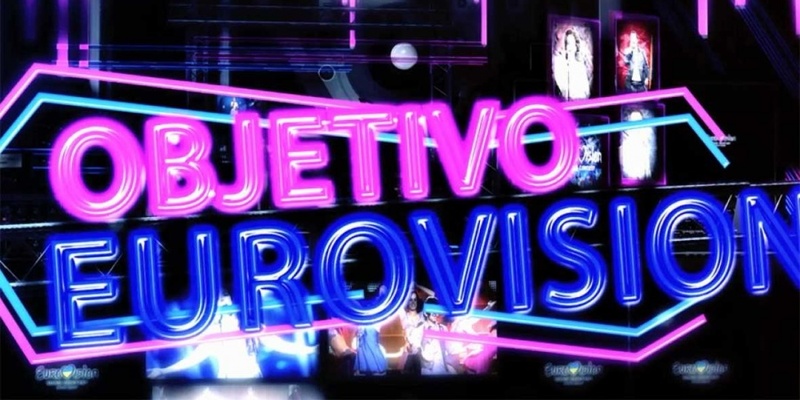 The Spanish broadcaster RTVE will select its next representative for Eurovision Song Contest in the show "Objetivo Eurovisión" in February 2017 to be aired on TVE1. The winner of Objetivo Eurovisión 2017 and the Spanish representative at Eurovision Song Contest 2017 in Kyiv will be chosen by a mix of televoting and a professional jury. Spain 1973: Mocedades - "Eres Tú"
Spain has participated in Eurovision Song Contest 56 times since its debut in 1961. They have won twice, in 1968 (La, La, La...) and the folowing year, 1969 (Vivo Cantando). Spain is a member of "Big-5", and therefore don't have to qualify for the Grand Final. Spain is also a member of the "club zero", because they have managed to get zero points (3 times!). They have ended last 4 times in Eurovision history. Best known song for Spain is probably the song " Eres Tú" from Festival de la canción Eurovision 1973 (2nd place, only four points from victory).